Last week my minivan’s rear hatch quit staying up on its own. For a few days I either propped it open with a ladder or asked my husband or a kid to hold it open while I unloaded groceries and the detritus moms cart around. I had two problems, 1. my car was broken and 2. I had no TIME to get it fixed. My dad was kind enough to help me out with the second issue. And now my minivan works just fine (Thanks Dad). Who do you call when YOU need a hand? Who would you ask for help if you were on a fixed income? Most people know that Habitat for Humanity builds homes. Did you know that Habitat Cabarrus also has a home repairs program? 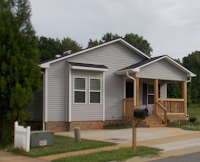 There is more than one way to address affordable housing solutions and repairs provide Habitat Cabarrus an avenue to reach greater numbers of residents. The Hamilton’s needed a hand when Mrs. Hamilton’s knee function deteriorated and limited her mobility. Mr. and Mrs. Hamilton are seniors who live in Concord. They’ve been a couple for a long time, since high school in fact. They raised children and cared for an aging parent in their home. Now they live the slow and modest life of retirees. A Concord police officer saw the Hamiltons struggling to go up their front steps as he drove by. He stopped his vehicle and helped Mr. Hamilton maneuver his wife into their home. The officer casually mentioned that Concord Fire might be able help them get a handicap ramp and left after they safely reached the door. It’s difficult for most of us to admit we need help and the Hamiltons were no different. We’re Americans. We take pride in our rugged individualism and our ability to handle things on our own. Two weeks passed and the Hamiltons finally admitted they needed help and called the Concord Fire department. They were directed to Chief Ray Allen who listened to their plight and said he thought they could help. Concord moves at its own unique pace and direction. People talk to each other here and this is a community that takes pride in looking after its own. There’s an invisible river of care that flows beneath the surface and creates a tangible sense of kinship. And the Hamiltons had just reached into the river. Chief Allen knew Mike Ransom, the president of Concord Rotary Club. 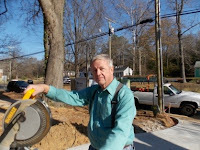 Mike Ransom really wanted to expand the types of community service Concord Rotary Club performs in the community. 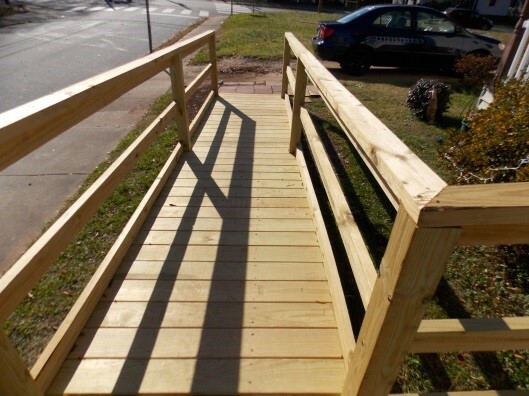 Mike knew that Katie Page - a fellow Rotarian - works for Habitat Cabarrus and asked her about ramp construction. A project was born. 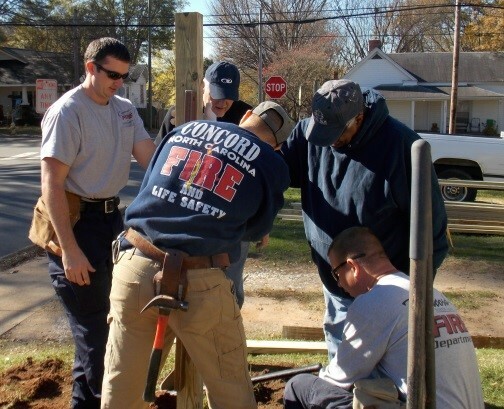 On Nov. 11th - about four weeks after the Hamilton’s asked for help - fire fighters from Concord Fire Station #3, Rotarians from Concord Rotary Club, and Habitat Cabarrus converged on the Hamilton’s front lawn. It was a beautiful crisp, sunny, Fall morning – perfect for physical labor. Three different groups merged time and talents to dig holes, cut wood, install posts and boards, and constructed a ramp. What does that ramp mean to the Hamiltons? Mrs. Hamilton can go outside and enjoy her flowers again. 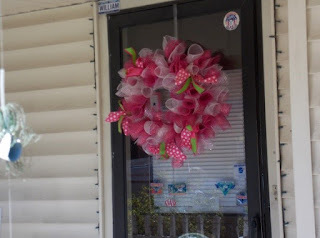 Mr. Hamilton can leave home to run an errand and not feel he’s left his wife housebound. Mrs. Hamilton can get the exercise she needs to become eligible for knee surgery. Both Hamiltons can go to church, the library, the grocery store, and to visit family and friends. The ability to leave is huge. That ramp is the difference between freedom and dependence. The Hamiltons needed help. A casual comment led to a phone call. A phone call steered several conversations. Conversations guided actions. Concord Fire, Concord Rotary Club, and Habitat Cabarrus reached out as one and provided a hand up. Cabarrus County really understands what community means. Sometimes community looks like a ramp. If you or someone you know is in need of a home repair please click HERE to apply for Habitat Cabarrus’ Home Repair program. My uncle was a graphic artist back in the day. He drew logos that graced local businesses’ doorways, signs, business cards, and letterhead. He was quite talented and so it was a bit of a surprise when he told his daughter, a talented musician, to really think about pursuing a career in music. He cautioned her that allowing your creative outlet to provide your bread and butter could seriously lessen her enjoyment of her music. She pursued a career in social work and still enjoys her music as a personal pastime. There’s a line in the Lord’s Prayer that says, “Give us this day our daily bread…” We have to feed our bodies to maintain life. Food for the body is as necessary as air to breathe. Yet as humans we also have other needs. They may not be as immediate a need as feeding the body but we must all feed our souls to feel complete. One of my neighbors has a beautiful lawn. He waters, fertilizes, rakes, mulches, feeds, seeds, edges and undertakes other actions that make his lawn a beautiful, lush, and green expanse. I’m pretty sure his yard is his creative endeavor. Another neighbor has the most gorgeous flowers. You know it’s Spring when she starts planting. My father loves his vegetable garden. Another neighbor loves riding his motorcycle. My mom sings when she’s happy. We all have a need to reach outside ourselves. To create, to experience, to live. If you ask most people what Habitat for Humanity does, the answer is build homes. And we do. And we don’t. Volunteers perform lots of construction labor (usually on Saturday work days) for Habitat Cabarrus. And they do a GREAT job! But what happens if they can’t complete the task in one day? Sometimes the task can wait until the next Saturday when the next group of volunteers comes out. Often times it can’t. That’s when our Weekday Warriors work their magic. Weekday Warriors are a very dedicated group of volunteers who come out week after week, rain and shine, heat and cold, to get the construction tasks ready for the next round of Saturday volunteers. The Warriors started out being called the Wednesday Warriors but when tasks regularly became available on other days the name changed. If you ask the Weekday Warriors why they volunteer, why Habitat, or why they keep coming back you hear some interesting responses. Brad Fisher has been a Warrior for 12 years and he loves being up high on the roofs. He used to be a lab director and enjoyed it. But he really appreciates construction’s shorter projects because he gets to see what was accomplished in a day. 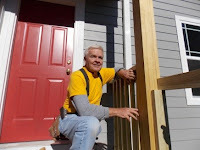 He thinks Habitat provides a real way to directly help people – by giving them the opportunity to help themselves. John Cline has been a Warrior for over eight years. He started out as a Saturday volunteer and asked what else he could do. He really likes framing. Because he spent so much of his career in an office setting, he loves to do something physical. John enjoys the fellowship with the Warriors and he likes being part of a hand UP because he believes the home owners appreciate it more. David Flowers has been a Warrior for seven years. He spent his career in mechanical engineering and he’s always been interested in how things worked. He really wanted to know how homes were built. David likes framing because you can see real progress in one day. He also likes working on the triangular metal works just below the roof. The sheet metal bird box is different for each home and David likes seeing form and function come together. 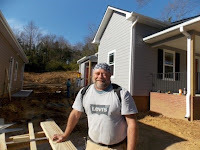 David thinks the Habitat program is admirable and this provides him a route to give back. Daniel Stafford, aka the New Kid, joined the Warrior ranks in 2015. He came out to a work day with his church and liked the experience so much he asked what else he could do. He is new to the area so he appreciates the comradery with the other Warriors and he enjoys building things. Daniel really relishes the opportunity to meet the future homeowners and to hear from them how the Habitat program will change their lives. Daniel’s favorite task is framing because its satisfying to see how much can be accomplished each day. Our Weekday Warriors are a bit like Nessie the Lock Ness Monster – they are shy creatures who eschew the spotlight and the camera. Brad, John, David, and Daniel are only a few of the very dedicated Warriors who provide so much time, labor and love to Habitat Cabarrus. I’m pretty sure God brought our Weekday Warriors. They worked elsewhere for their daily bread but now they have the time and the desire to feed their souls. We are so grateful that they chose us as the source of their Soul Food. If you’re interested in volunteering or becoming a Weekday Warrior please contact us at 704-786-4001. Thanks to You, We Reached Our End-of-Year Goal! Thank you for helping Habitat Cabarrus reach our 2015 end-of-year goal of $25,000! Your donations will give us the opportunity to fund house builds in Cabarrus County and help families in our community have safe and affordable housing. 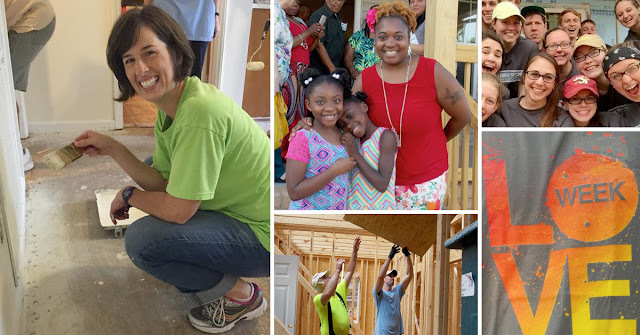 For over 25 years, Habitat Cabarrus has transformed lives and our community by uniting all of Cabarrus County around the cause of decent, affordable housing for everyone. Your donations help fund these builds so families in our community can have a place to call home. We are so thankful for your support and can't wait to put these funds towards our next build. 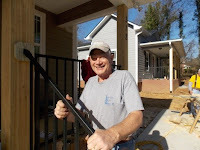 To learn more about Habitat Cabarrus, visit www.habitatcabarrus.org.